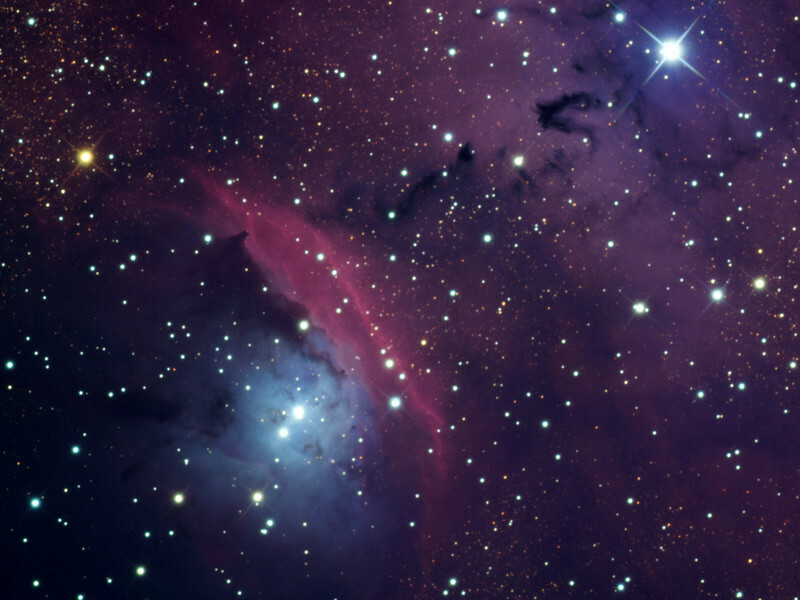 NGC 6559 nebula, part of the Sagittarius Triplet. Schulman Foundation 24 inch telescope on Mt. Lemmon, AZ. Local telescope operation and gray scale frames by Adam Block, University of Arizona. Pure RGB image, binned 1x1, cumulative total exposure time 530 minutes (8.8 hours). Processing by JDS. NGC 6559 also appears near the top of another image in this gallery, a wide angle view of the Triplet taken through a 106 mm. refractor.